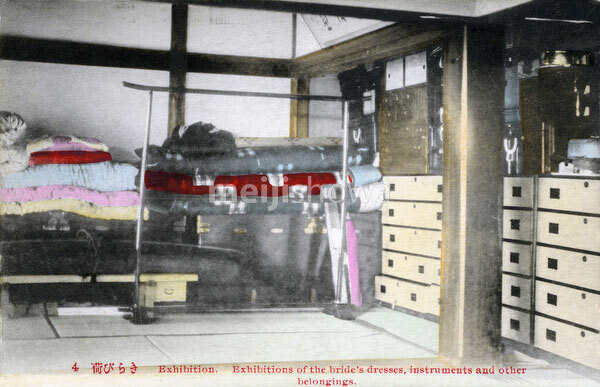 Japanese Marriage: A room full of items ready to be moved to the new home of a bride. Until the late 21st century it was customary to move new furniture ceremoniously to a newly married couple’s home. This image comes from a series of cards about Japanese marriage customs.